The EU will soon open negotiations with the 78 countries of the African, Caribbean, and Pacific group on the future of their partnership with the EU in September 2018. This could breathe new life into the relations between the two continents. However, getting there will not be easy, writes Alfonso Medinilla. Alfonso Medinilla is a Policy Officer in ECDPM’s European External Affairs programme. The EU has always pursued two separate tracks in its relations with Sub-Saharan Africa and North Africa, engaging through the ACP-EU partnership with the former, and through the European Neighbourhood Policy with the latter. The EU’s proposal for the upcoming negotiations is to move to a unified continental partnership with Africa and to “replace and upgrade the Joint Africa-EU Strategy (JAES)”, which already combines both Sub-Saharan and North African states, as well as the African Union. Entering into a negotiation always implies a degree of uncertainty. The EU institutions are the only ones that have shown a glimpse of their cards. The European Commission and European External Action Service propose to prioritise regional partnerships over an ACP-EU construction and seek the full participation of North African countries in the political steering of a future African partnership at a continental level. Yet, at the same time, they do not want to re-open the Euro Mediterranean Association Agreements, which are the current legal basis for cooperation between the EU and North African countries, nor is a review of the European Neighbourhood Policy in the works. The formal decision-making and the implementation of a future continental partnership with Africa would, therefore, take place in the frameworks of a future EU-Africa compact as far as it concerns Sub-Saharan Africa, and four Association Agreements with Algeria, Tunisia, Morocco and Egypt when it comes to North Africa. The specifics of this hybrid construction are still to be decided and will be worked out in consultations among the various parties involved. None of this can be unilaterally decided. To get what it wants, the EU will need the support from both the ACP group, with whom the EU will open negotiations and the African Union with whom it has the JAES. Regionalising the political partnership with the ACP may also require more than a (late) invitation to North Africa to join the structures of a future Africa partnership. It calls for more clarity on the role of regional coalitions, their interests, and their incentives to engage with the European Union. What is most important, perhaps, is the added value for North African countries to enter into a potentially cumbersome hybrid arrangement with the EU. The EU’s partnership ‘offer’ remains unclear, and North African demand is intangible at best. This all happens at a moment of difficult relations between the EU and North Africa, given the current political upheavals and the constant risk of crisis in the EU neighbourhood. Neither the ACP group, or the African Union, or any North African country has thus far expressed an explicit position on the issue. The AU member states are developing a Common African Position for their cooperation framework with the European Union, yet it is still unclear whether they will join the negotiations under the ACP flag, or whether they will position the AU to lead in the negotiations. The ACP group has shown a degree of openness to third countries but is mostly looking at traditional developing country partnerships with the least developed countries (LDCs) and SIDS. North African countries are increasingly looking South, which may affect their position in a continental partnership with the EU. But they are yet to formally enter into the discussion. The unanswered questions are not minor. Have North African interests in a continental EU-Africa framework evolved over time? And do Egypt, Morocco, Tunisia, Algeria, and Libya (which does not have an Association Agreement with the EU) have different perspectives? What kind of incentives can be provided to North African countries to invest in a future continental EU-Africa partnership protocol, especially if no changes to the trade, political dialogue and development cooperation components of the Association Agreements and ENP are foreseen? As negotiations approach, the toughest question of all is perhaps who will be negotiating with whom, and for what? 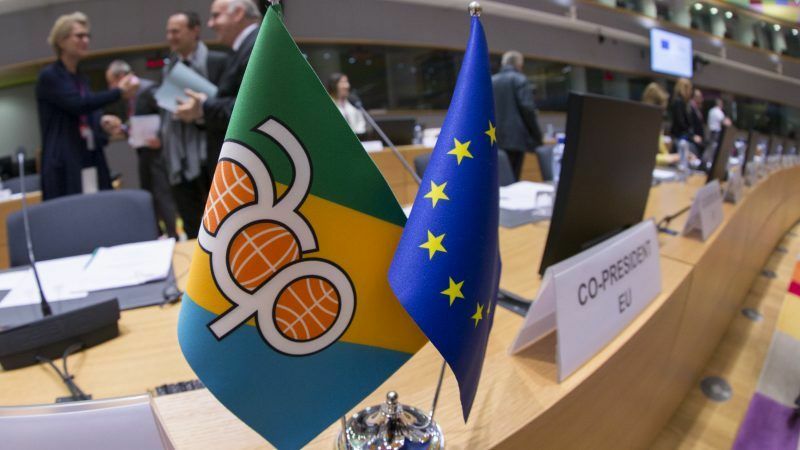 The Cotonou Agreement calls to open negotiations between the EU and the signatories of the Cotonou Agreement, a group of 78 states with no direct affiliation to North Africa. If the European Union would go through the entire process with the ACP group, only to invite the North Africans to join the table afterwards, this is unlikely to produce the desired result. The situation requires those involved to begin to look for creative ways to involve North African partners and the AU in the negotiations from the very start. Regional protocols can only be negotiated in a regional setting with a sufficiently broad mandate. On the other hand, AU member states will need to decide who negotiates on whose behalf. The European Union and the African Union, and their respective members have every interest in organising the negotiations in a way that prioritises the clear articulation of regional interests. They will need to tackle the North African question as soon as possible to make sure that North Africa’s involvement in the ACP-EU negotiations will be more than a leap in the dark.